Apollo EECOM: Journey of a Lifetime is a very personal story told by Sy Liebergot, a member of the vaunted NASA Flight Controller brotherhood in the heady days of Apollo. This book is a unique first person account of the behind-the-scenes drama that unfolded on Apollo and Skylab missions. What makes the story particularly interesting is how the author overcame personal adversity as a youngster, which prepared him to survive the challenges of putting humans into space and discharging his duties as EECOM (Electrical, Environmental and Communications) flight controller in Houston. The title of this book aptly describes Liebergot’s life, both in personal terms and in occupational and academic pursuits. Born in 1936 in Camden, New Jersey to Russian Jewish immigrants, Liebergot’s early years were ones of hardship and deprivation. His father was a gambler who habituated the less-than-honest realms of society. This caused the family to move often, producing a life of upheaval for the young Libergot. To further complicate matters, his mother eventually suffered a nervous breakdown and had to be institutionalized. Liebergot was brought up by his father’s mistress in a household that produced three more children. He was in part neglected and suffered from a lack of parental control and proper training. Liebergot found joy in music, both in guitar playing and singing, pursuits that he came back to later in life. But his real love was engineering, which he was introduced to in the Army. After discharge he tried his hand at several jobs, but realized that he was smitten with the engineering bug. Putting himself through college, he finally earned a degree in electrical engineering in 1963. 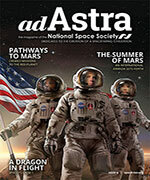 His first exposure to space was working for North American Aviation while still in school. He was in on the ground floor as a full-time employee when North American was awarded the contract to build the Apollo command and service modules. He was also one of the first members of the Flight Operations Support Group which was formed to provide technical support to the Manned Spacecraft Center (later renamed Johnson Space Center) in Houston. He became a command and service module spacecraft sequential systems specialist responsible for tracking the craft’s multitude of systems. At the start of the Apollo program, Liebergot became a NASA employee and a flight controller in the Mission Operation Control Room (MOCR) of the Manned Spacecraft Center. This room, which saw so much manned space flight history unfold, was where Liebergot got his training to become the EECOM. The acronym was more than a title. It represented all the responsibility that went with the job, both during simulations and in actual missions. Like its components, it was a catchall for any and everything that did not fit neatly into other consoles on the MOCR floor. EECOM, first coined during Project Mercury, stood originally for Electrical, Environmental and Communications. During Apollo, the person who manned the EECOM console was responsible for the life support systems in the command and service modules including not only the heating, cooling and electrical systems, but also the cabin atmospheric pressure control, breathable oxygen levels, and fuel cell maintenance levels. Up to and including Apollo 10, this console was also responsible for any other system that could not be managed by another flight controller. The job of EECOM was an awesome responsibility for all of the missions, each with their own quirks and anomalies, but none more so than for Apollo 13. The book details how on that fateful day when an explosion ripped away most of the crew’s oxygen, Liebergot worked with his back room support to come up with alternatives to mitigate against this catastrophic loss. 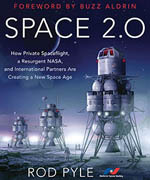 The author describes the scene in Mission Control so well that the reader can feel the tension as everyone worked together to save the crew’s lives. The book also covers Liebergot’s roles on Apollo 14 and 15 and other positions in NASA. He worked as the Electrical, General Instrumentation and Life Support (EGIL) console operator for Skylab, which he claims was a more demanding role than the EECOM on Apollo because he had three consoles to monitor. The book also describes his work as the lead EECOM on the Apollo-Soyuz Test Project in 1975, which required him to travel to the Soviet Union as part of the training for the mission. After that mission, he was assigned to the Space Shuttle program as lead EECOM. He writes that he found that despite the shuttle’s myriad of systems, the job was not as interesting as his prior positions. He transferred to the Space Station Program Office in 1981 and worked on that program until retiring in 1988. The book concludes with a description of his work for Rockwell International and Johnson Engineering Corporation where he designed the Neutral Buoyancy Laboratorypool EVA trainers for the International Space Station. He also discusses his consulting work on the movie Apollo 13, in which he was portrayed by Clint Howard. 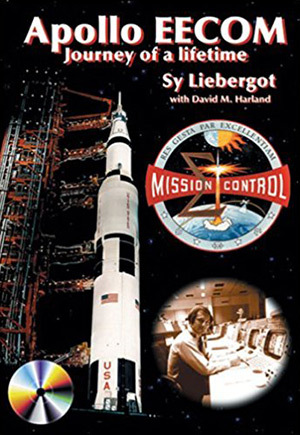 While this book is an autobiography of Sy Liebergot, it is also an insider’s history in easy-to-understand language of the workings of Mission Control and of the people and their idiosyncrasies who worked so hard to make the manned flight missions successful. It provides the reader with an insight into history that is not found in other books about the era. There are many photographs studded throughout the book as well as thorough explanations of all positions within Mission Control. An added bonus is the inclusion of a CD containing the audio from his EECOM console during the Apollo 13 and 15 missions.